For a thorough understanding of body dysmorphic disorder, we recommend you read Face to Face with Body Dysmorphic Disorder: Psychotherapy and Clinical Insights. 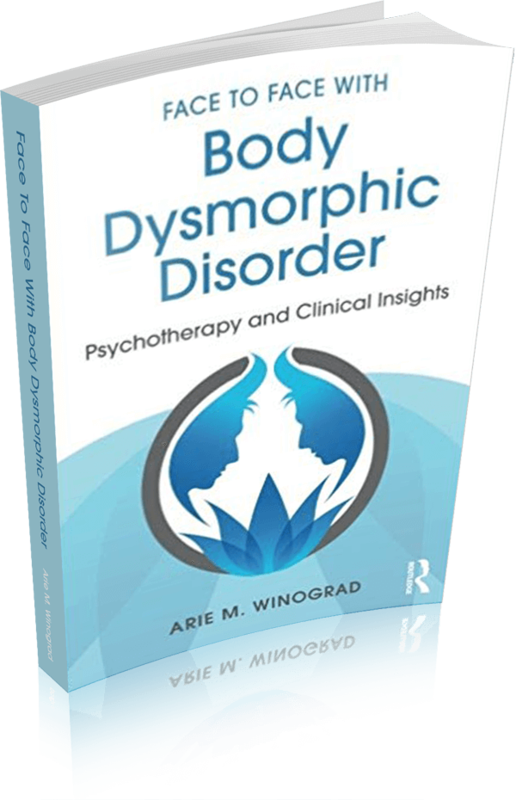 Having spent thousands of hours treating patients with body dysmorphic disorder, the author and BDD Clinic founder Arie Winograd, LMFT, shares an inside perspective into the uniquely complex world of the BDD sufferer. The book was written so that the layperson, clinician, sufferer, or family member alike could read it and come away with a better understanding of what is means to have body dysmorphic disorder. Although Face to Face with Body Dysmorphic Disorder: Psychotherapy and Clinical Insights is available on Amazon.com, it is also available at many public libraries.